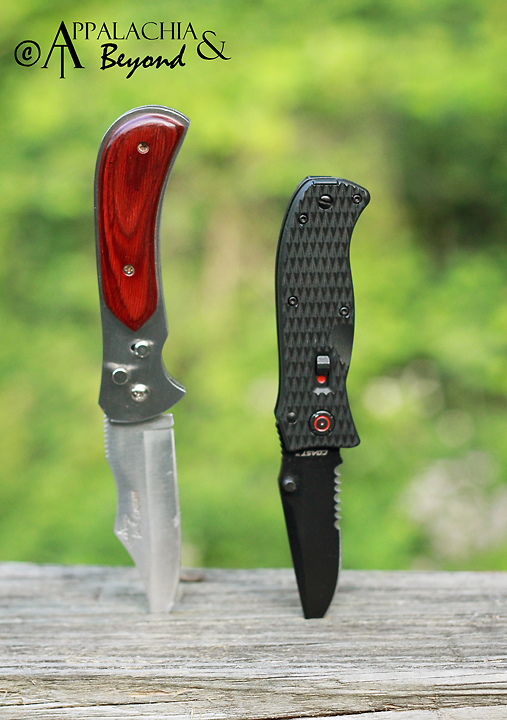 When out in the wild day hiking, backpacking, or just camping, you never know when you're going to need a good blade. Knives come in handy in all sorts of situations. Whether you need to cut some rope to string up a tarp, sharpen sticks for whatever, or just whittle some wood, the needs are endless. Enter COAST's Rapid Response 3.00 knife. COAST sent me one for review purposes and I've been carrying it around in my pocket like any other East Tennessean does. Compared to my other "Crocodile Dundee" knife (aptly named by Robin) it is much lighter (3.7oz - 1oz. less than the "Croc") and doesn't take up as much space in my pocket. It's easy to operate although being brand new the rapid release (spring loaded action) on the blade is a bit hard to snap open with your thumb. I'm sure after some good usage this won't be a problem any longer. When fully deployed the knife measures a total of 7". Closed it's only 4". The blade is 3" which is plenty of blade for most operations. Made of high-carbon 400 series stainless steel, the knife also comes equipped with Thumb Studs on both sides of the blade, Roller-Cam technology for fast, smooth opening, Liner-Lock for safety, clip on handle for easy storage in your pocket or pack, and Max-Lock system that locks the blade when deployed in conjunction with the Liner-Lock and locks the blade when closed. I also love the sleek look of the all black knife. It feels nice and light in my hand with good balance. The blade is good and sharp upon delivery and includes a serrated edge at the inner part of the blade (great for small sawing jobs). It also has a very sharp point. I can honestly say, this will become my go to knife for the trail and in camp. 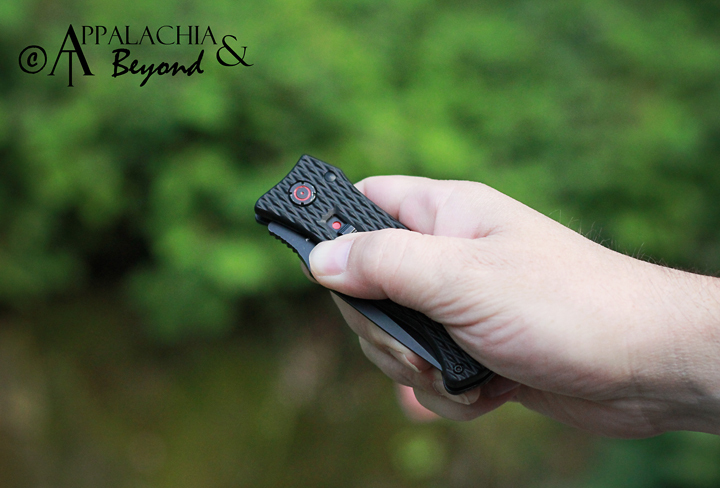 The light weight, easy deployment, and easy to operate locking mechanisms make it the perfect blade for the pack or pocket. 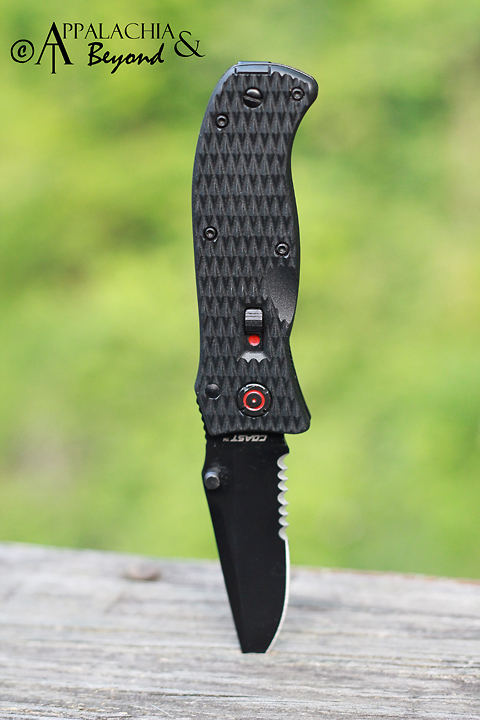 Disclaimer: Tim received the Coast Rapid Response 3.00 knife from the COAST Products for review purposes only. Appalachia & Beyond are in no way affiliated with COAST Products and are not being compensated by COAST Products for this review.. The opinions expressed above are Tim's independent thoughts and experiences.